Meanwhile, various Nigerian interests are set for the Pan-African Film and TV Festival in Ouagadougou. The festival themed, African Cinema: Tourism and Cultural Heritage, which also coincides with its 40th anniversary and the 20th anniversary of the African Film Library of Ouagadougou, is billed to feature a wide range of activities to celebrate the anniversaries. These include itinerant exhibitions on the years of FESPACO and African cinema, film screenings, conferences on FESPACO and the FESPACO Foundation. Apart from Arugba's appearance, the festival is also symbolic for films in Africa, as the nominations for the 2009 African Movie Academy Awards will be announced at the festival. Organisers have also noted that the 2009 edition will pay tribute to Ousmane Sembene, doyen of African filmmaking and pioneer of FESPACO, who passed away on June 9, 2007. 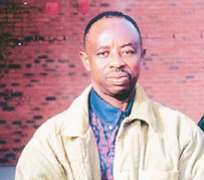 He was one of the pioneers of African movie industry and a regular at FESPACO, having attended nearly all the festival's editions without a break from 1969 to 2005. Sembene made some 20 films, including nine features. “He always believed in and defended the film industry in Africa all over the world. Sembene the African, endeavoured to promote FESPACO and to unite filmmakers across the continent for the development of African cinema,” some experts have observed.